A talented but impatient young Shaolin monk seeks out a forbidden chamber at his school, eager to gain instant martial arts mastery. 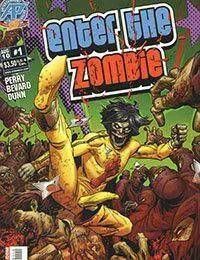 Disobeying his master, he disturbs the chamber and inadvertently unleashes evil, undead spirits who possess everyone else in the temple, turning them into a legion of kung fu zombies! Now the foolish student must fight his way through the walking—and punching, kicking and blocking—undead to defeat their leader and free his teacher...if he can!